We offer Urea UREA-46, Ammonium nitrate(chemical fertilizers) export production in Russia, Ukraine, China on the terms CIF, FOB, 1000mt by volume to 200, 000 per month. Payment - by appointment. 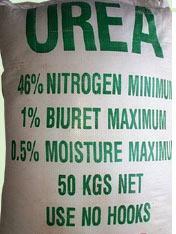 Price depends on obema.Opyt in the market more than 15 years.Е-mail: bijl94@mail.ru.